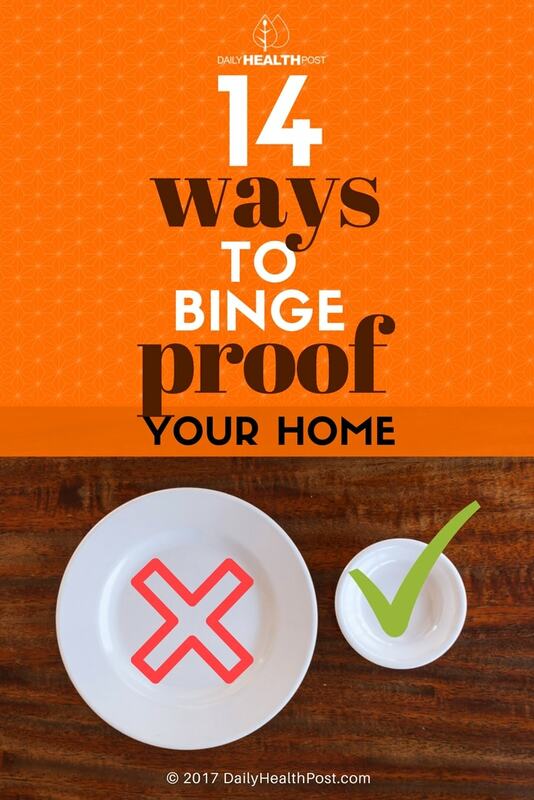 If you’re struggling with overeating, consider the following fourteen tips for binge-proofing your home. Studies have found that people tend to serve themselves larger portions when they use larger plates. To cut down on your serving sizes, consider downsizing your servingware. If bags of chips and boxes of cookies are staring you in the face, you’ll probably be more likely to eat them than if you had to take the additional step of heading out to the store to buy them. Avoid the impulse to snack by getting rid of junk food and replacing it with healthy alternatives. Alternatively, if you have one item you tend to deny yourself and then eat a ton of at once, consider keeping it around to satisfy your cravings more often. So if you binge eat a whole pint of ice cream when you crack once a month, consider keeping ice cream in your freezer and having a bite or two when you get the urge. 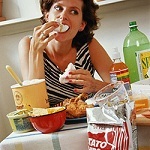 Snacking while watching TV is a common way to get carried away and eat the entire bag of chips. Switch TV for another activity that you don’t associate so strongly with eating, and it may help cut down on binging. If you tend to go back for multiple portions, invest in a clock to hang in your main eating spot. Before you go back for seconds, wait twenty minutes. You may find that you’re not actually that hungry!